Posted May 5, 2016, in News. 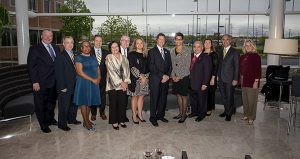 On April 28th, 2016, WRI held its 15th Annual Walter and Leah Rand Awards and Scholarship Dinner. The event was held at Campbell Soup World Headquarters facility, with over 140 people in attendance. 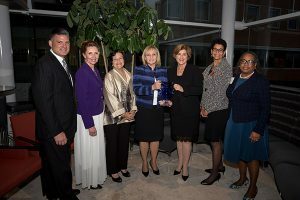 The South Jerseyan of the Year – Private Sector Honoree, Denise Morrison, President and CEO Campbell Soup Company, had her award presented by Lieutenant Governor Kim Guadagno. The South Jerseyan of the Year – Non-Profit Sector Honoree, Donna Bennett, President and CEO Big Brothers Big Sisters of Cumberland & Salem Counties, had her award presented by board chairperson, Michael Testa, Jr., Esquire. The South Jerseyan of the Year – Public Sector Honoree, Honorable Louis Greenwald, Assemblyman, Sixth Legislative District Majority Leader, New Jersey General Assembly, had his award presented by the Honorable Patricia Egan Jones, who also served as Mistress of Ceremonies. The event began with a cocktail reception, which allowed our students in attendance a chance to network with well-respected figures in the South Jersey community. Chairman of WRI’s Advisory Board, Michael Moynihan, welcomed the crowd and introduced Assemblywoman Jones, who gave a brief statement about the legacy of the late Senator Rand and his wife. Phoebe Haddon, the Chancellor of Rutgers University-Camden, also gave brief remarks. After the awards were presented, WRI’s Executive Director, Gwendolyn L. Harris presented highlights on WRI’s growth, from increases in staff, eight to thirteen, to the widening of WRI’s footprint in South Jersey (projects in six of the eight Southern New Jersey counties). Dr. Harris also made sure to highlight the exemplary work of our graduating students. 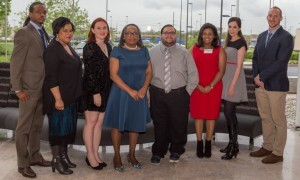 At close the event, the Honorable Judge Charles Rand thanked everyone for their support and announced that as a result of the Advisory Board’s efforts, and the proceeds from the event, sufficient funds were procured to create an Endowed Graduate Scholarship for Southern New Jersey Initiatives. 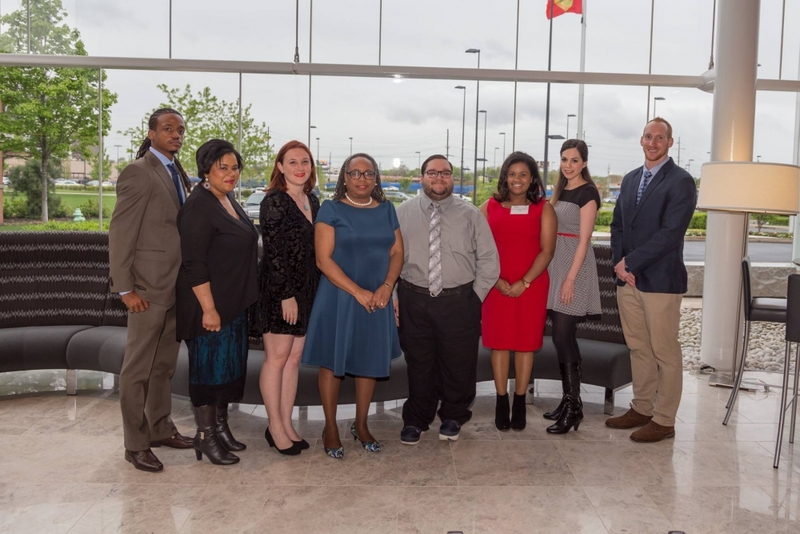 The Graduate Scholarship for Southern New Jersey Initiatives at the Walter Rand Institute for Public Affairs will provide a contribution toward a graduate student’s tuition, while supporting the awardee’s research on an issue impacting Southern New Jersey. This scholarship will support graduate students in perpetuity working at the Institute and will be open to a full-time graduate student in good standing, matriculating at Rutgers University-Camden. Each year, we will select a Graduate Scholar who exemplifies interest and a growing expertise in public affairs that impact Southern New Jersey. Page last updated by Senator Walter Rand Institute for Public Affairs at 4:46 pm May 26, 2016 . This page was printed from http://rand.camden.rutgers.edu/2016/05/05/the-15th-annual-walter-and-leah-rand-awards-and-scholarship-dinner/ at 4:27 PM Monday, April 22, 2019.